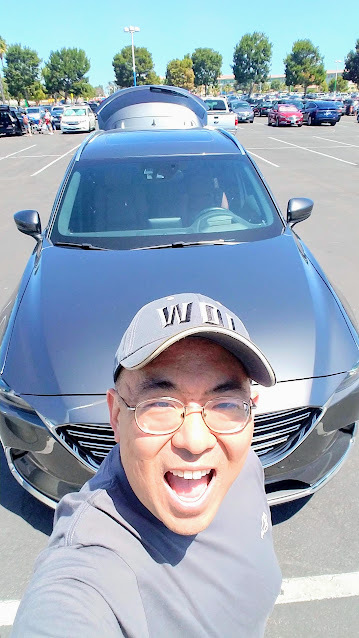 Let's take a look at the fun adventures I had in the 2017 Mazda CX-9 Signature AWD while checking out the Summer of Heroes at Disney California Adventure, podcasting, media screening of Cars 3 and a trip to Legoland California! 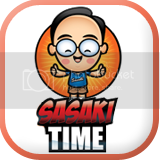 Wow, a busy week so let's get started! 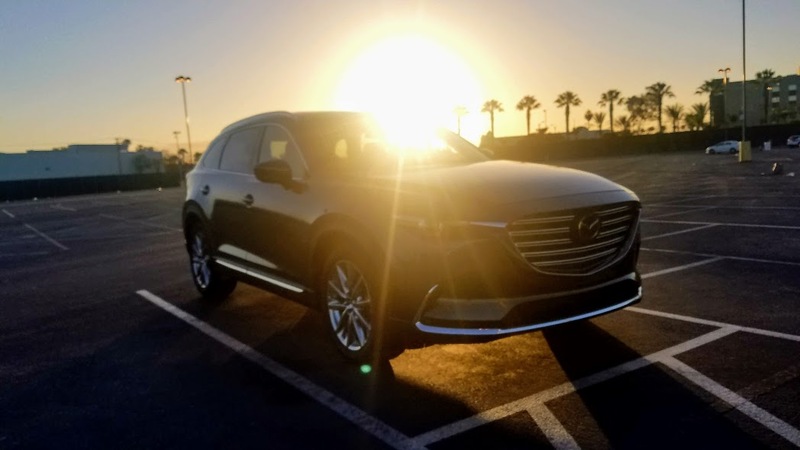 The sun is rising on a new day and the fluid lines of the 2017 Mazda CX-9 Signature make the vehicle look like it is in motion even when parked. 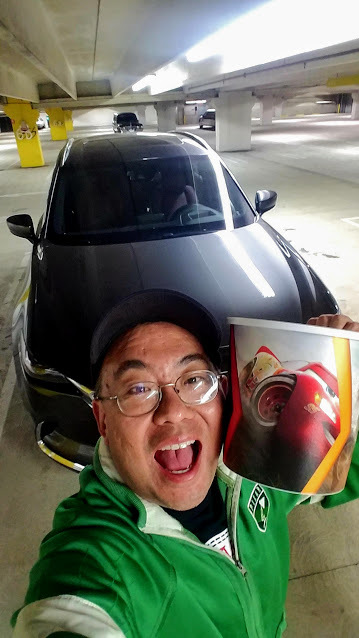 I love the large mouthed grill, the large and expressive LED headlights and fog lights as well as the large 20-inch alloy wheels. It was worth it to be up early to get ready to check out the Summer of Heroes at Disney California Adventure for the food, characters and of course the newest attraction, Guardians of The Galaxy: Mission Breakout! Click the link to learn some of my tips to get the most out of your visit to Guardians of The Galaxy: Mission Breakout! 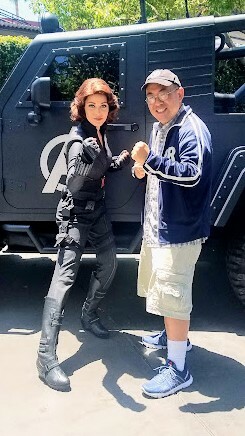 I got to meet one of my favorite Marvel characters, Black Widow! 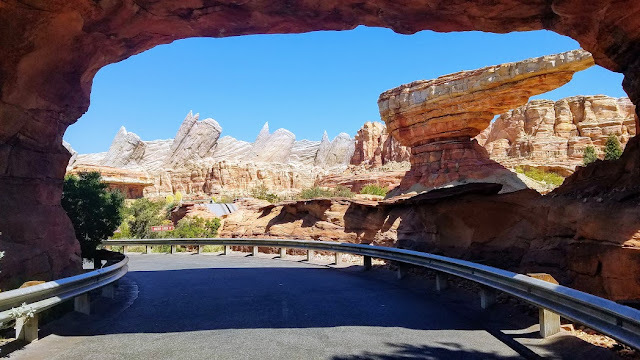 After spending time with super heroes it was time to slow things down and head into Radiator Springs. 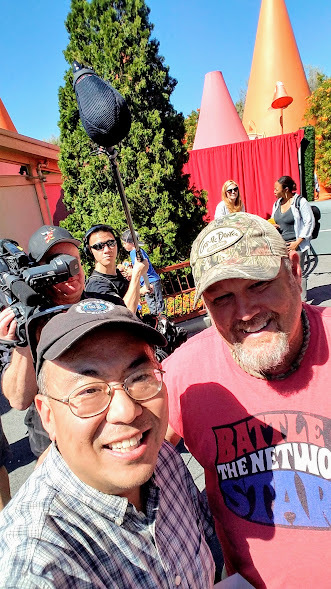 While in Cars Land I got to meet Larry The Cable Guy who voices Mater in the movie Cars! Larry was super nice and was happy to take the time to pose for this selfie! After a full day of being in Disney California Adventure, the cushy drivers seat was a welcome sight as it was time to head on home for the day! The Napa leather seats scream comfort. The seats are also heated but not needed on this beautiful warm summer day. 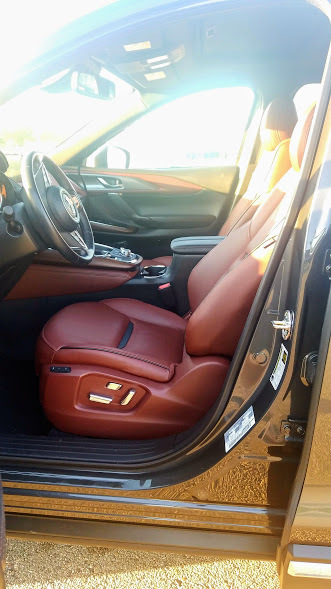 From the genuine rosewood trim, to the aluminum trim, the minimalistic use of buttons on the center console, a large amount of storage space and the large 8-inch navigation screen all add to the sense of elegance and luxuriousness. There is also a premium Bose sound system and keyless entry with pushbutton start. 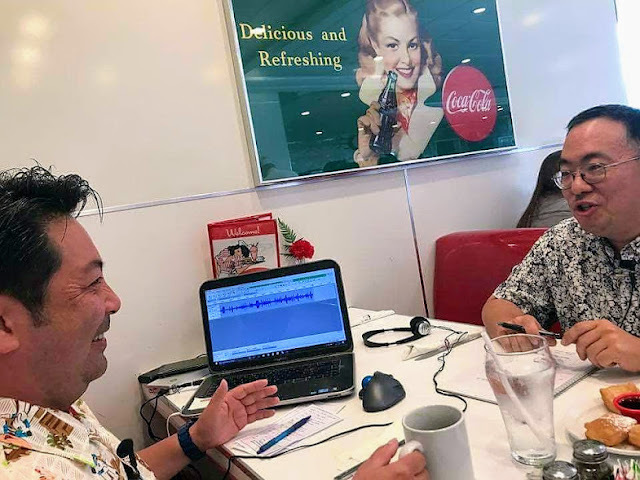 Another day and it was time for my friend Drew and I to record our latest podcast for our new site Pop Culture Crisp! As of right now it is a monthly podcast recorded live in a Ruby's Diner restaurant so it sound like you are joining us at breakfast as we talk about the latest in the world of pop culture! 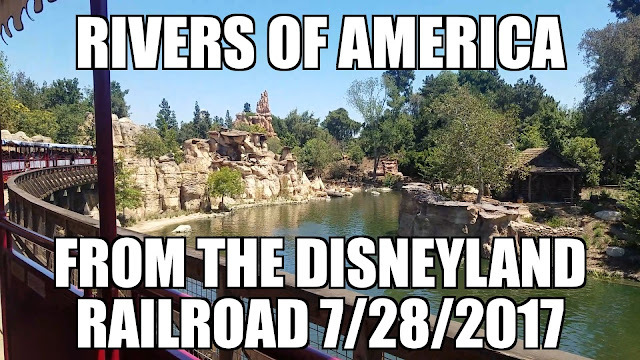 Click the link to our most recent podcast where we discuss Summer of Heroes, Star Wars Land, Pirates of The Caribbean: Dead Men Tell No Tales, Wonder Woman and more! 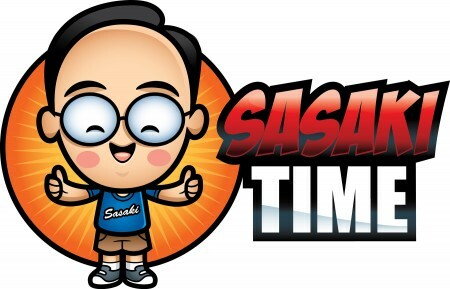 POP CULTURE CRISP PODCAST EPISODE 2 - MARVEL, WONDER WOMAN, PIRATES, D23 EXPO AND MORE! 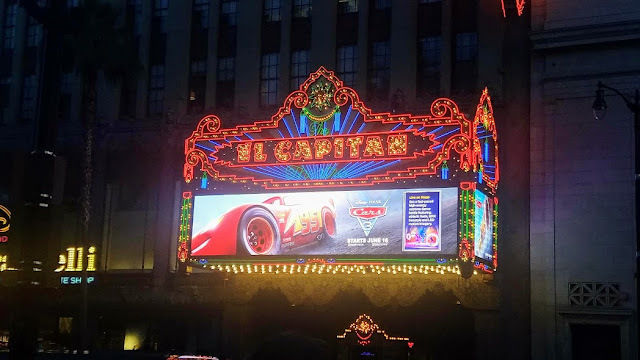 Two days later it was off to Hollywood for my media screening of Cars 3 at one of my favorite theaters, The El Capitan Theater! 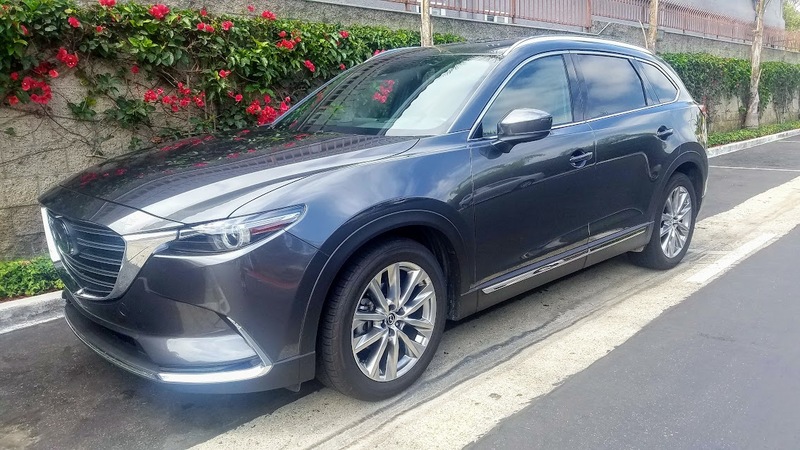 The 2017 Mazda CX-9 made this a comfortable ride to Hollywood despite typical Los Angeles traffic! The array of driving tools really came in handy. 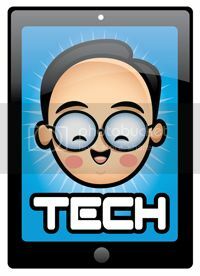 I love the Active Driving Display, a heads-up information system to display the critical information floating right below my direct line of sight. There are quite a few safety features as well including blind spot monitoring with cross traffic alerts with backup sensors, radar adaptive cruise control, Lane Keep Assist (LKA) and Smart Brake support (SBS). 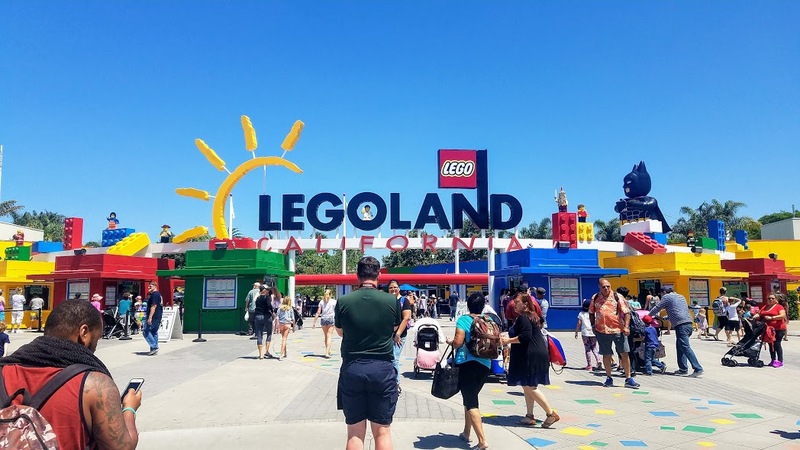 Then the next day it was time to pack and hit the road to visit one of my favorite theme parks, Legoland! 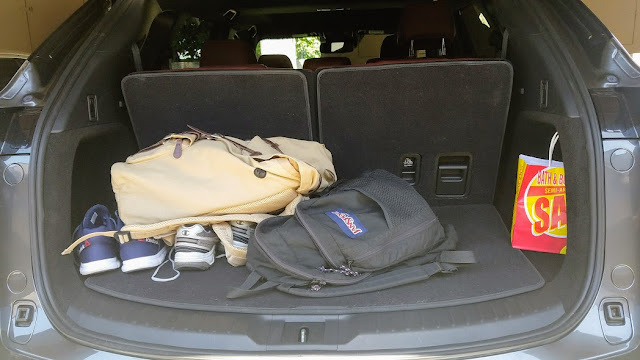 So much room in the back for a few items to take along with me! I loved the convenience of the power liftgate. The 2017 Mazda CX-9 Signature get a new engine in the SkyActive-G 2.5T. This is a turbo-charged four-cylinder engine that is more than powerful enough for this large SUV and makes it such a pleasure to drive. The drive from Orange County down to Carlsbad left me wanting to go on a much longer drive. The CX-9 was solid, quiet and secure. 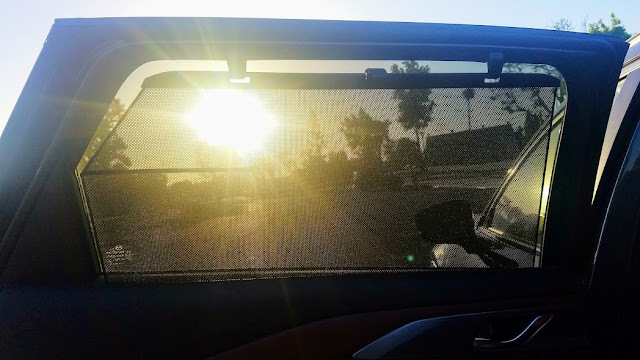 I also love these manual sunscreens built into the rear passenger windows to block out the sun. 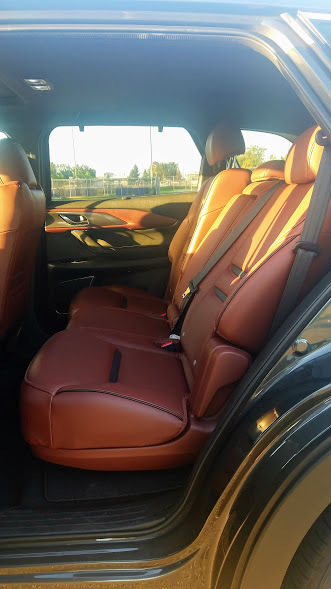 There is ample leg room for your friends and family in the rear two rows of seating. A tough way to start out the morning before heading down to Legoland for the day. I love Lego's and have been to Legoland several times since the park opened. 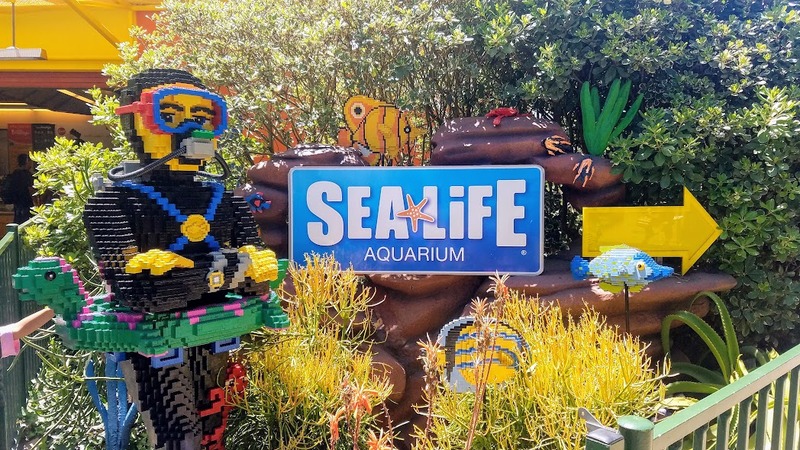 Recently they added the SeaLife Aquarium which is a fun two-story aquarium filled with educational displays as well some fantastic large display tanks with sharks. 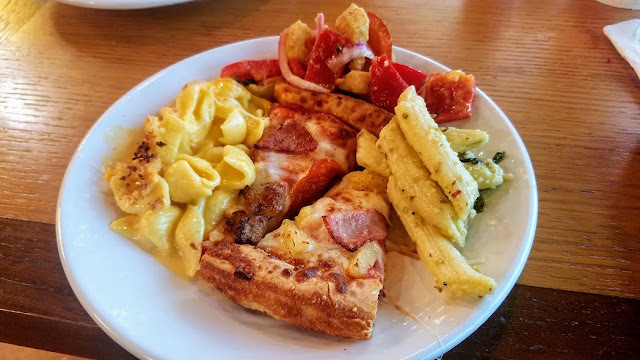 One of the best meal deals was this All You Can Eat Pizza and Pasta Buffet for $17 including a drink. 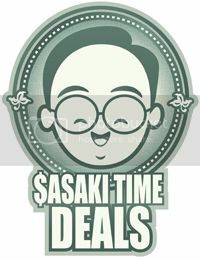 The best deal is that after 430 pm kids also eat free with a paid adult meal. And honestly the pizza and the pasta are all fantastic! A great meal and I will eat here again! I love the Star Wars Mini Land and there are huge scenes taken from each of the movies. 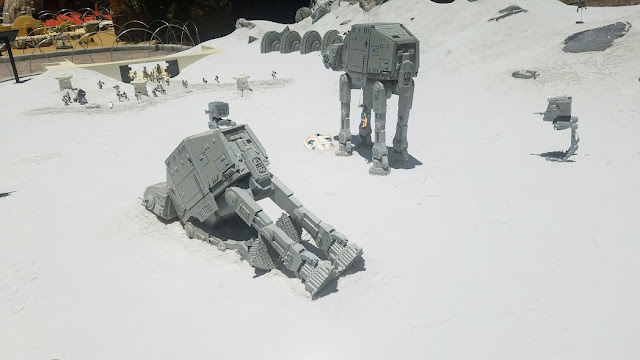 The above scene on Hoth from The Empire Strikes Back is one of my favorites! 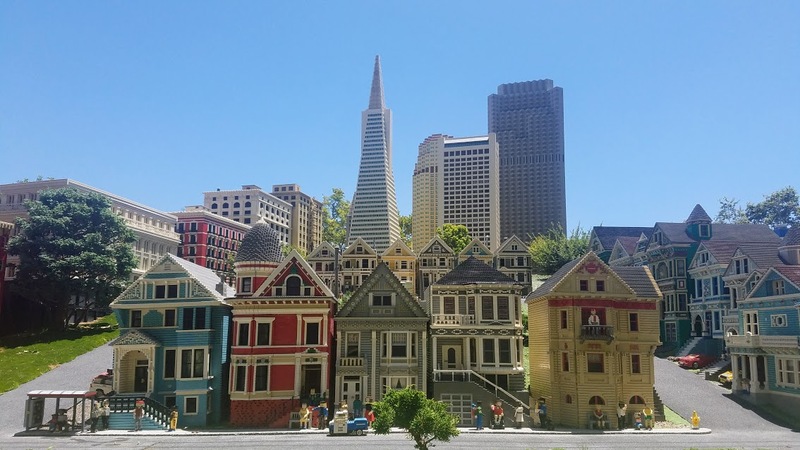 Also, in Mini Land is a massive representation of the best parts of the state of California including this look at the San Francisco area. 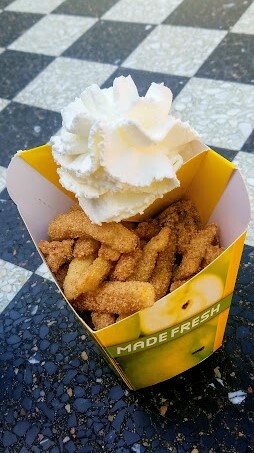 Last but not least is my favorite snack in the park which is the apple fries. They taste just like a baked apple pie and are simply delicious! A must have every single time I am here! 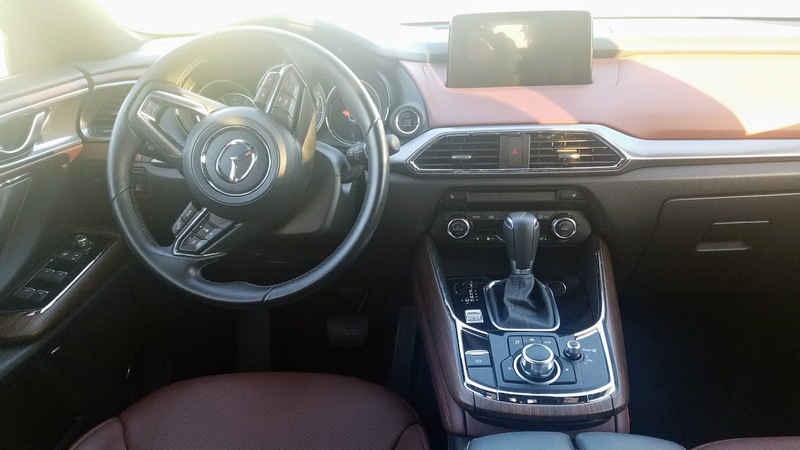 The 2017 Mazda CX-9 comes in four trims levels: the Sport that starts at $31,520; the Touring that starts at $35,970; the Grand Touring that starts at $40,170; and the Signature, fully loaded at $44,315. 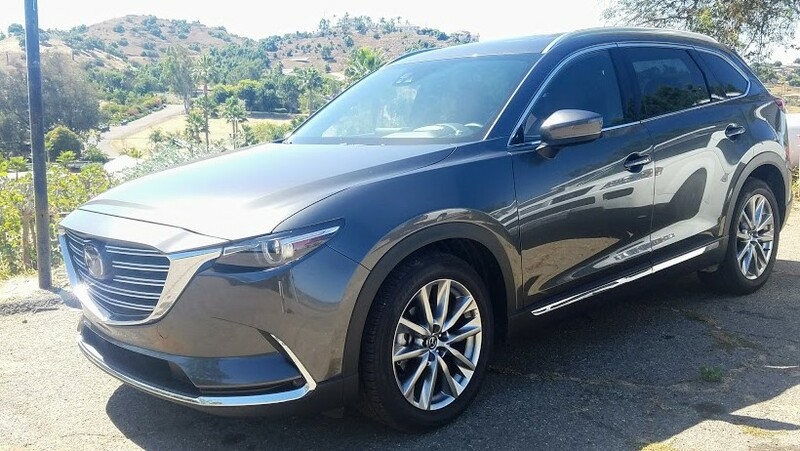 As tested the CX-9 version I had topped out at $45, 655. The fuel economy is estimated at 20 mpg city/26 mpg highway.